Chrysanthemum Stone: Mineral information, data and localities. An ornamental stone displaying chrysanthemum-like patterns in a contrasting matrix. Marketed specimens are often highlighted by selective painting of the matrix with a dye to over-emphasise the crystal pattern, which in the process obliterates some of it. The composition of chrysanthemum stone is variable. Material from the "classic" occurrence at Yonghe in Liuyang County of Hunan Province consists of celestine, but specimens recovered from outcrops of the same strata at other places in the area are mostly mixtures of calcite, chalcedony and minor dolomite which replace earlier celestine (Yan et al., 2001). Material from another well known occurrence at Laibin of Guangxi Province consists of strontianite (Zhang and Li, 1999). 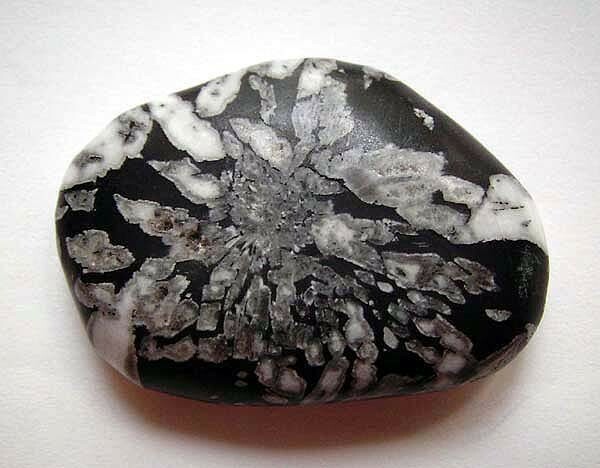 More recently, holmquistite "suns" in a light schist matrix from the Altay pegmatite field have been traded in China as chrysanthemum stones as well (Wang et al., 2009). 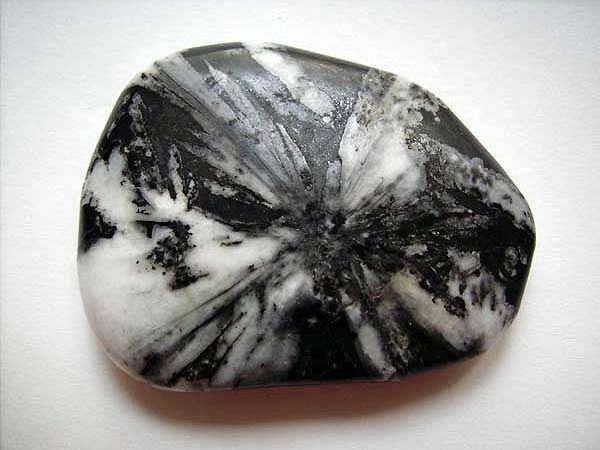 Japanese "chrysanthemum stone" is aragonite (or calcite pseudomorphs after aragonite) in schalstein matrix. Celestine 1 photo of Chrysanthemum Stone associated with Celestine on mindat.org. Yesen Fang, Jinman Fang and Xuying Yuan (1988): Celestites in carbonate in Yonghe, Liuyang County, Hunan Province. Acta Sedimentologica Sinica 6(3). Guangsheng Zhang and Jiazhen Li (1999): Elementary study on chrysanthemum stone from Permian rocks in Laibin of Guangxi. Guangxi Geology 16(2). 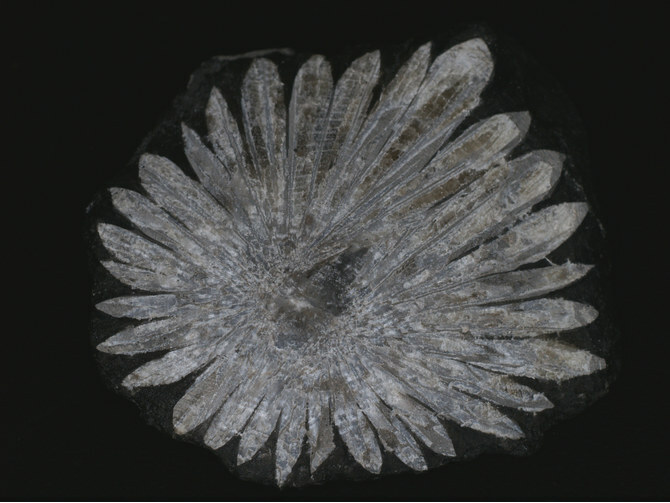 Jiaxin Yan, Chunhua Shi, Junhong Li, and Carlson, E.H. (2001): Replacement of Chrysanthemum-Shaped Celestite in the Chihsia [Qixia] Formation of South China and its Geological Implications. Acta Petrologica et Mineralogica 20(1), 75-83. Zhenghua Wang, Lishuang Guo, Guolin Guo, Guojin He, Jianhui Li, and Yulin Liu (2009): A New Type of Chrysanthemum Stone. Acta Scientiarium Naturalium Universitatis Pekinensis 55(3), 555-558.